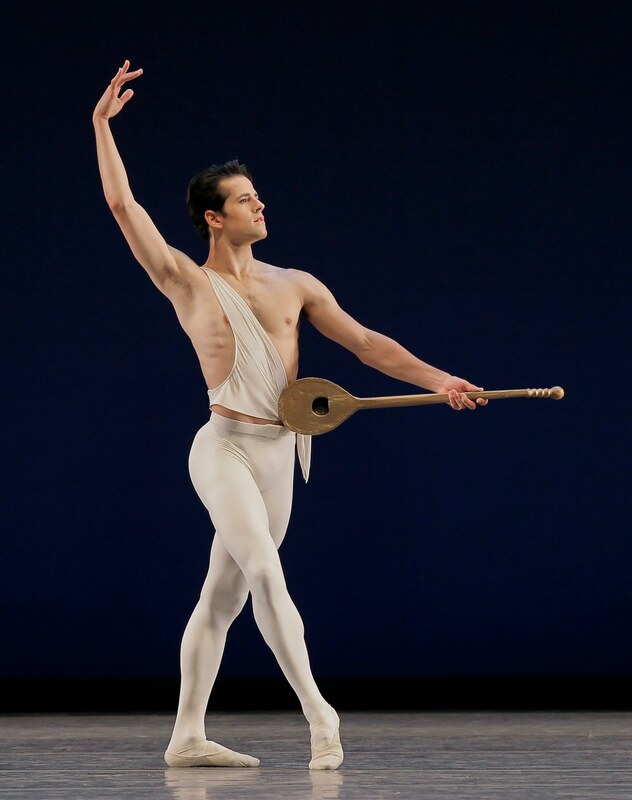 While he hasn't been dancing with NYCB, Fairchild has certainly been hard at work. He spent much of the past year in London, first in An American in Paris' run on the West End and then as Will Parker in the BBC Proms Production of Oklahoma!. Following his farewell performances with NYCB next month, Fairchild will perform the role of Harry Beaton in a New York City Center concert production of Brigadoon, directed and choreographed by Wheeldon. In December he'll make his choreographic debut and star in an off-Broadway premiere of Mary Shelley's Frankenstein. Fairchild will also move from stage to screen, playing modern dance pioneer and Jacob's Pillow Dance founder Ted Shawn in an upcoming PBS Masterpiece feature film titled The Chaperone. 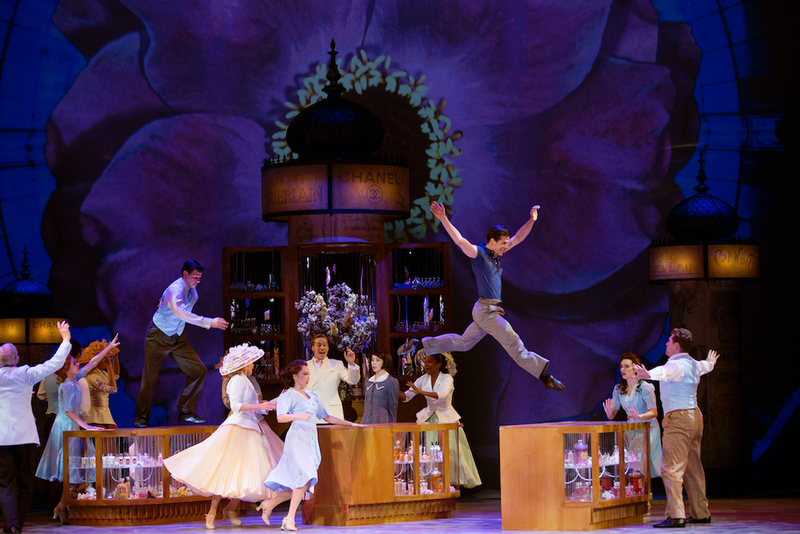 Fairchild mid-leap in "An American in Paris." Photo by Angela Sterling, Courtesy AAIP. In the meantime, we're looking forward to the October 14 and 15 matinee performances of NYCB's fall season, where Fairchild will dance Balanchine's Duo Concertant with principal dancer Sterling Hyltin and bid farewell to ballet.